All businesses can benefit from a quality inventory management system, and the perks of a software upgrade are especially helpful for tire sales. 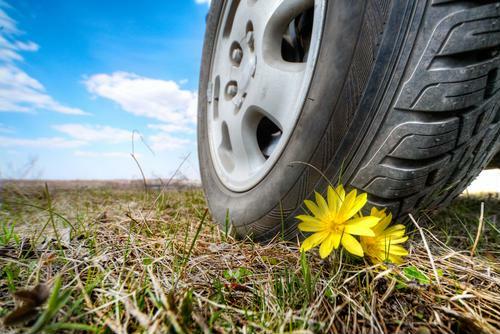 To best serve customers, salespeople need to know about and be able to quickly find a particular tire amidst growing inventory, tire salesperson Robert Abram wrote in a recent article for Modern Tire Dealer. "If you don't have a recorded procedure for classifying and entering your new products into your inventory management system, you need to put one in place immediately," he wrote. "This may seem obvious, but many systems are plagued with inconsistencies brought on by lack of discipline in this area. Often times if the employee responsible for entering the data changes, the data changes. Nothing makes the future analysis of your business more complicated and painful than having to first scrub all of the data before you can get to work." For tire dealers, as is the case with any consumer-focused business, the key to continued success is the ability to adequately meet the customer's needs all the time. For automotive-centric companies, consumers rely on sales staff to equip them with the right product to meet their needs. However, considering the proliferation of tires available on the market - a separate report from Modern Tire Dealer found that no one tire manufacturer has more than a 14 percent market share - and as new products come in, salespeople need to be equipped with the right tools and knowledge to provide the driver with the ideal tire for their car or truck. State-of-the-art inventory management software can yield many benefits, but Abram wrote that many factors must be taken into account for implementation to be successful. For starters, sales staff need to be trained on how to quickly and accurately use the software to find the right tires. While a system may have many supposed benefits, no software will yield a significant return on investment for a company if employees do not know how to properly use it. "Successful new product implementation is achieved through preparation and communication. Both are equally critical to the plan, as additions to your product screen without control will soon leave you with more of the same problems you just worked to uncover," he wrote. "Likewise, failing to communicate the purpose the new items serve in your product assortment and the reasons those decisions were made can delay or limit their utilization by sales staff, or create problems for other departments." To have an effective system in place that is easy for workers to use, businesses may want to consider barcode scanner software. Not only is this an easy to use, intuitive solution but it can help employees quickly find the right tire. For example, Inbound Logistics reported that Hankook affixes a two-dimensional barcode to all of its tires.